When you add this modern accent to a room, it can help to change your mood. Designed to help you enjoy a gentle mist of natural aroma, Ellia’s Thrive Diffuser features a calming, color-changing light. 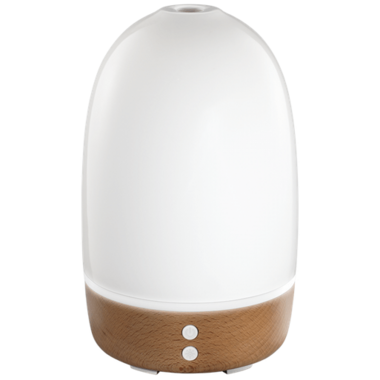 Made from ceramic and wood with a high-gloss finish, it can run for up to six continuous hours. And to help get you going, it also comes with an Essential Oil Starter Kit, complete with three samples. I wanted to love this product but after calling the manufacturer to ask if this is BPA free, they said they cannot confirm it is BPA free. It's too bad, I would expect that for this pricetag.